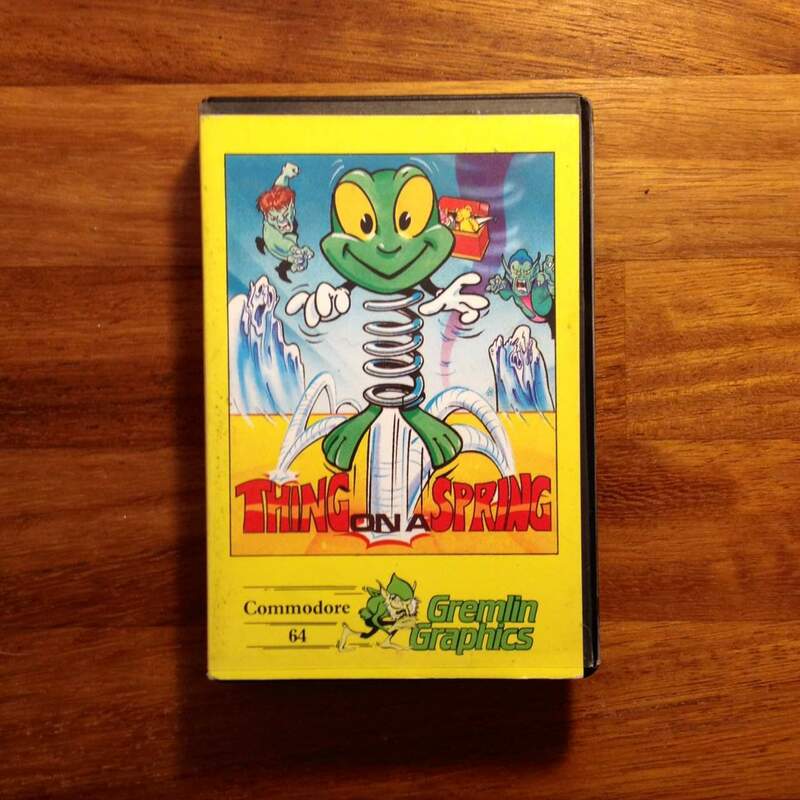 Thing on a Spring, by Gremlin Graphics, is the 8th game in my retro C64 (tagged to all other C64 posts) photo collection series. What can I say. This was just an insanely enjoyable platform game, and the Thing on a Spring was just like a party-in-your-pants in a 16 year old spotty geek way. Rob Hubbard was my hero, time and time again he would blow our collection minds by pushing the infamous SID chip to its limits. If you don’t know the music score then please listen/watch the video below. I’ll be surprised if you don’t find it enjoyable. I have a rather large, and complete, collection of C64 games, utilities and hardware. I will be giving life to my C64 by posting one image a day from my collection. If you have a request then I’ll likely be able to accomodate you unless you are asking for games that came towards the end of C64′s life, so just pop a comment below. Also posting to my Instagram stream if you want to follow the collection grow on there.